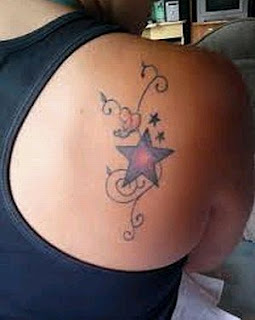 In these images, you can find a selection of tattoos in different shapes, designs and colors, all of them related with stars. Enjoy this interesting group of tattoos. 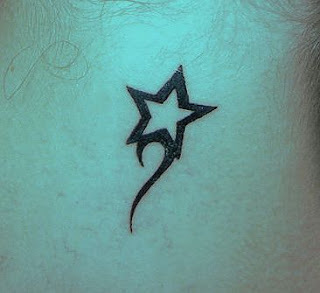 Tattoo of a star with a tale. 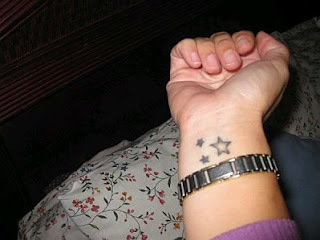 Tattoo of stars on the wrist. 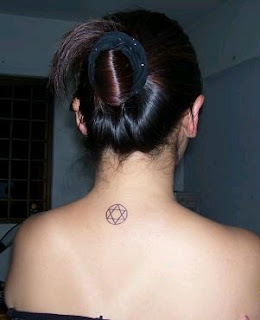 Tattoo of a five points star inside a circle. Tattoo of a star with long tales. 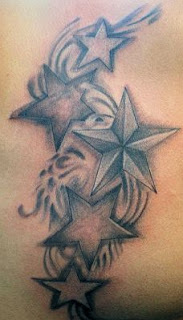 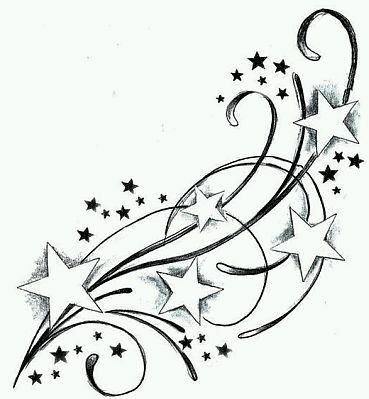 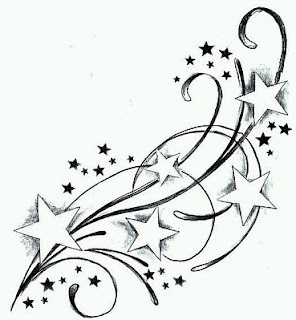 Drawing of a tattoo with several stars and branches. 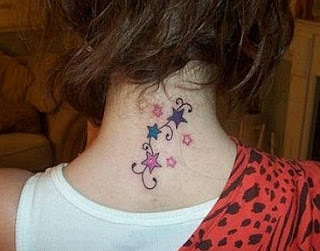 Tattoo of stars with different shapes. 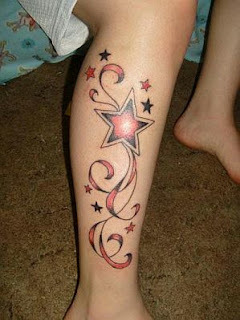 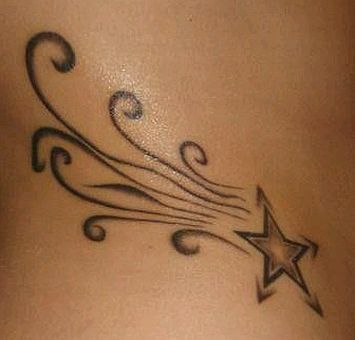 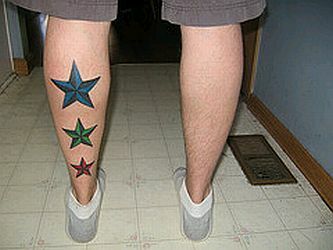 Tattoo of three stars on the calf. Tattoo of stars with branches.